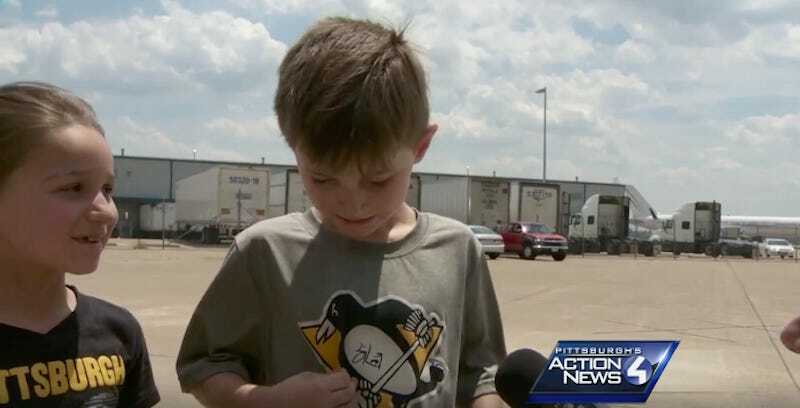 This kid had his shirt signed by Penguins captain Sidney Crosby, and he was absolutely overwhelmed by the moment while being interviewed by Pittsburgh’s WTAE. Aw. He’ll go back to summer camp and hit everyone in the nuts, just like his hero.